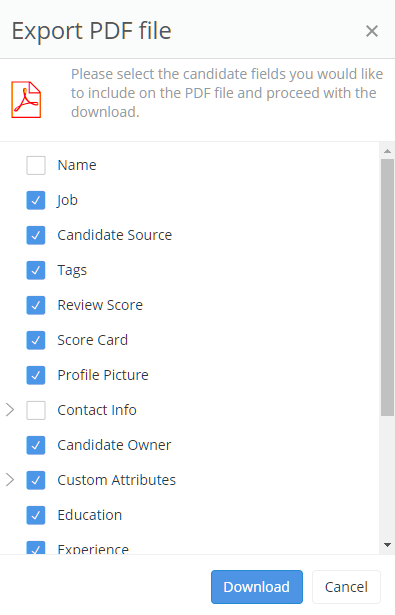 Jobsoid allows you to download Candidate profiles in the form of a PDF file. You can share these PDFs with the desired people. You have the flexibility to hide the fields that you do not wish to share. The PDF file will be downloaded and saved on your computer system.